The recent crackdown on illicit brew in ongoing in central Kenya and other parts of the country is said to be the biggest one to ever happen in Kenya. Many consumers have already started complaining that there is a scarcity of liquor in local bars. 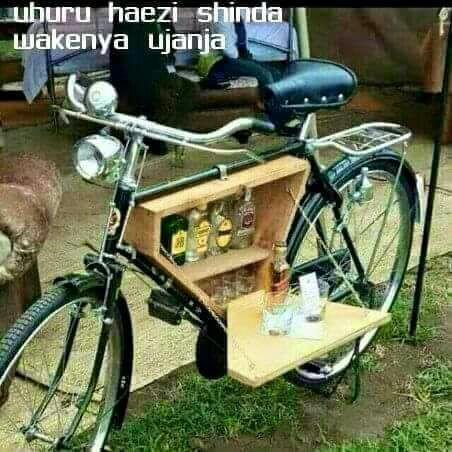 With the crackdown on illicit brew, the daily drinkers have to be creative in order to continue with their normal life. Check out this creative way of carrying and drinking liquor without the cops knowing.